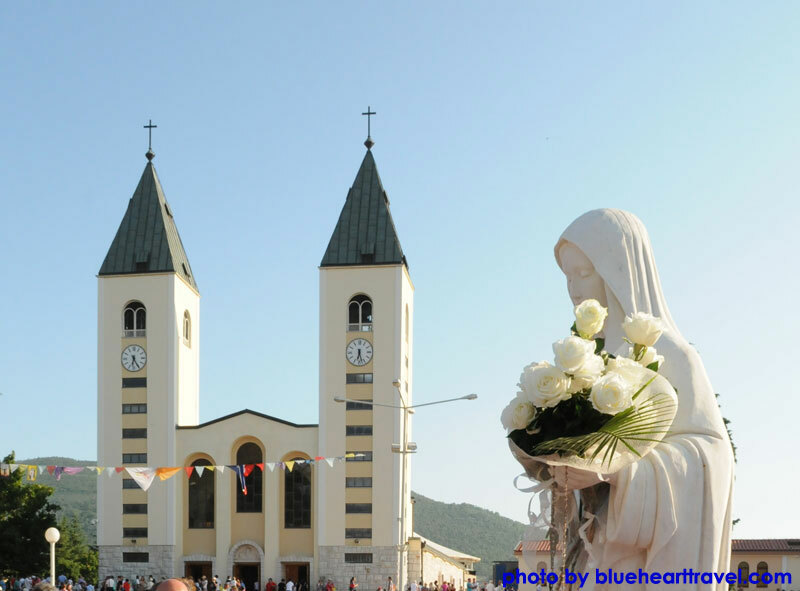 Pilgrimage to Medjugorje with Dalmatia's best destination; Dubrovnik, a tour that combines Medjugorje and the most popular destination in Dalmatia. Cathedrals and churches, fortresses, town walls history including the Greek, Roman, Austrian and Napoleon periods of rule. 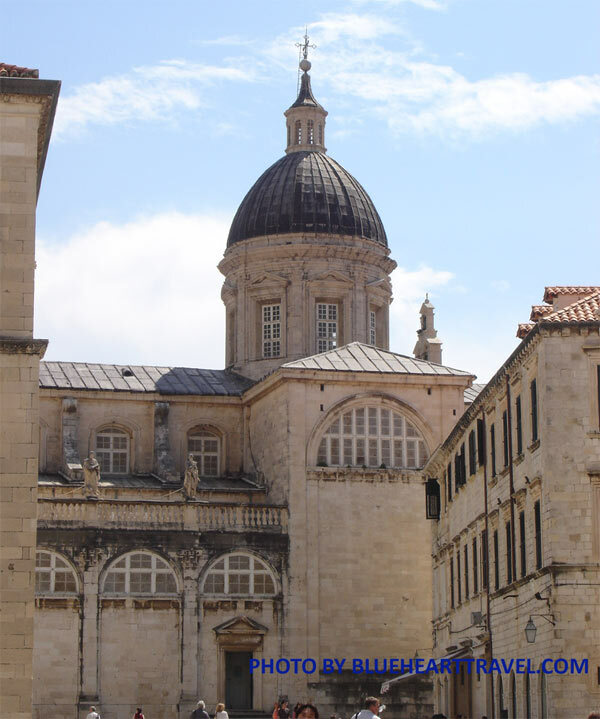 For those who love a beautiful mixture of Catholic pilgrimage, history, and culture, this journey to Medjugorje & Dubrovnik makes an excellent choice! Departure to Croatia from your New York, meals served on the board of the plane. Upon arrival to Split International Airport after clearing the customs group will meet with the guide and the driver! The same day you are, after short border formalities in Bosnia and Herzegovina and Medjugorje. First overnight in Medjugorje. On your first morning in Medjugorje after the breakfast, your local English-speaking guide will give you an introduction, a little walk from your hotel to the Church St. James just before English language mass at 10:00 am. 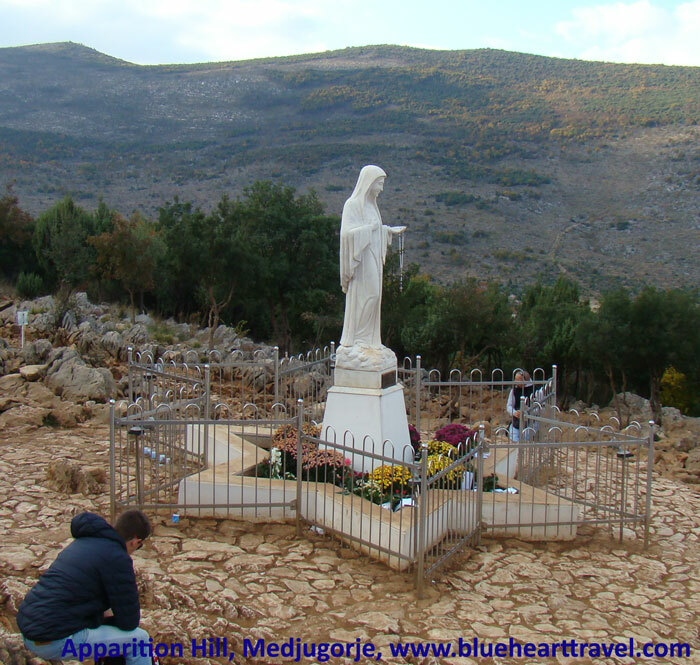 You will have a chance to participate in many activities during your stay in Medjugorje. With pilgrims from all over the world, you will celebrate daily mass at St. James church, for English speaking pilgrims it is at 10:00 am, on feast days and holidays it is at noon. The Adoration of the Holy Eucharist is on Tuesdays and Saturdays from 9:00 – 10:00 pm and on Thursday right after the evening Holy Mass. Each evening at 5:00 pm starts the prayer of the Rosary followed by evening Holy Mass at 6:00 pm! Pilgrims here pray all three Mysteries during the evening program. In Our Lady’s messages, it was repeated many times how important is to come to Mass where “we meet Jesus alive.” Messages of Prayer of the Rosary, Holy Mass, and Confession are the center of the evening program at St. James church. Visiting Bijakovici village, all six visionaries come from it; you will go up the Apparition Hill, Podbrdo, place where Our Lady first appeared. According to their words, the Virgin Mary appears to three of them daily, to Vicka, Ivan, and Marija. Mirjana, Jakov, and Ivanka are the three visionaries who don’t have daily apparitions but once a year. 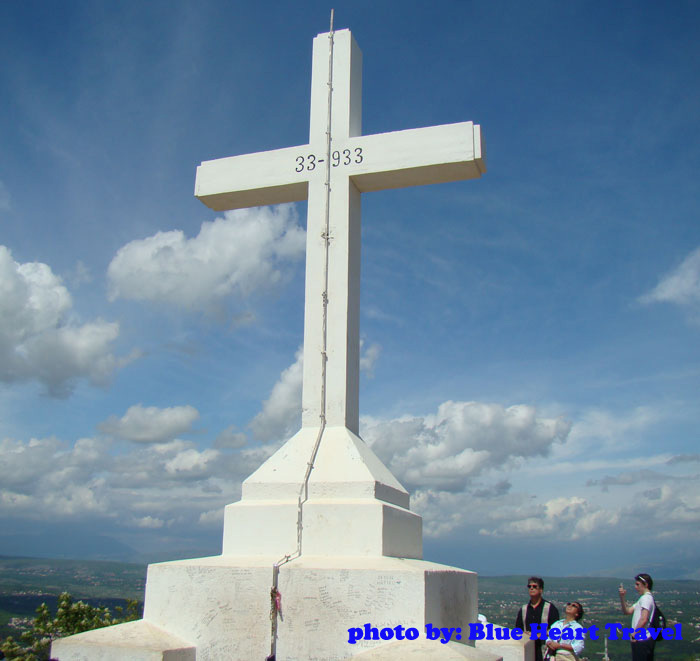 We will also as a group climb the “Cross mountain” and pray the Way of The Cross, Krizevac as local people know it, visit the “Blue Cross,” another place of the apparition of Our Lady also nearby community - Cenacolo. Each pilgrim will have time for private devotions, shopping, or simply enjoying your own “freedom of prayer. Today we will leave Medjugorje, head toward Croatia, Dubrovnik! 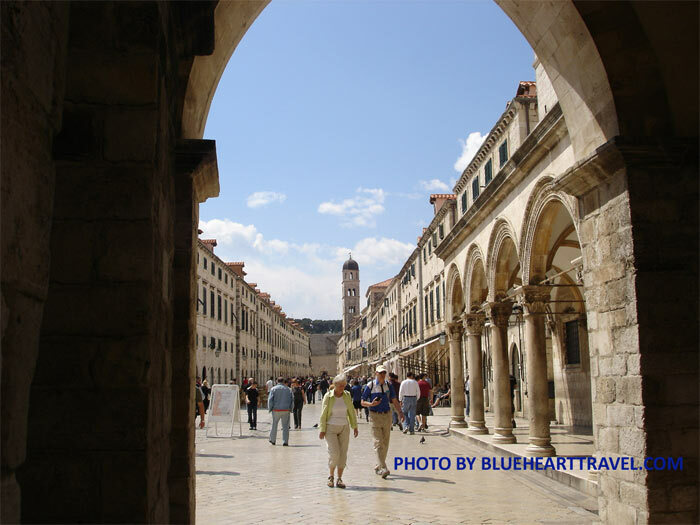 In the afternoon we will have a guided walking city tour of Dubrovnik, has been under UNESCO protection for more than 30 years. During our visit to the historical city, we will see Stradun, Rector's Palace, St. Francis Church, Sponza Palace, Orlando's Column, the first pharmacy in Europe as well as interesting churches and city streets. 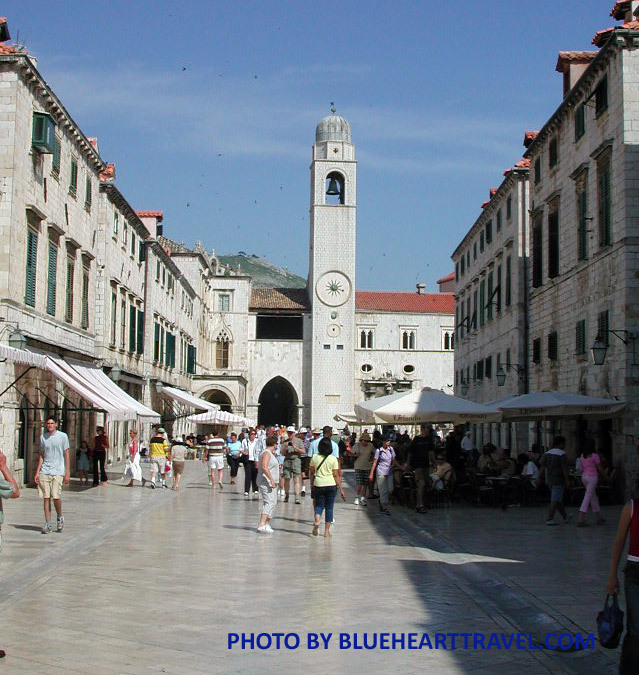 Holy Mass and free time until farewell dinner in a typical Dalmatian cuisine restaurant in Dubrovnik. Back to the hotel. 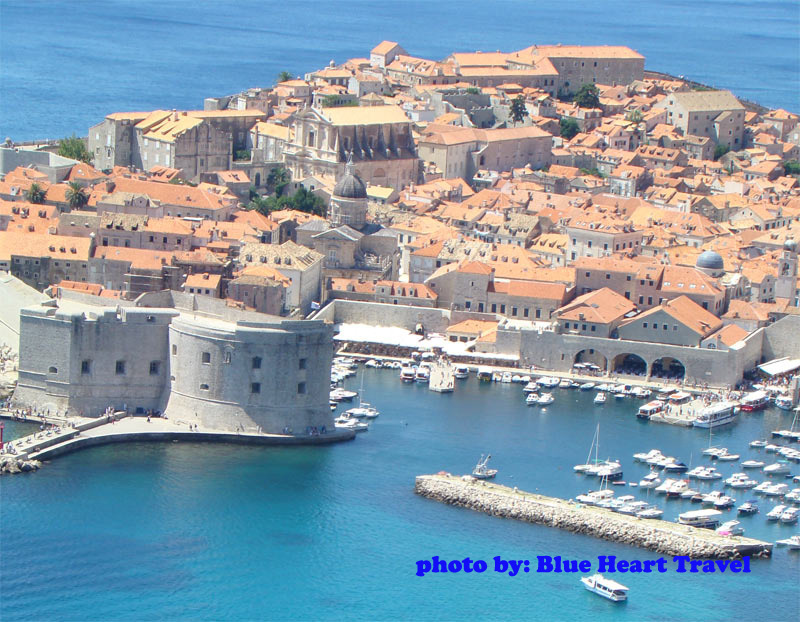 Free day in Dubrovnik – no services, hotel stay based on bed and breakfast – dinner on your own! Early morning at departure for Dubrovnik Intl. Airport, flight back home, arrival same day!